As a parent of two little girls, all too often I’ve found myself stuck in a waiting room or a car with bored children. If you have kids then you know that bored children usually end up as misbehaving children. Here at MakeUseOf, we love kids. You’ll find lots of articles with cool apps for kids like Saikat’s list of NASA tools for kids Inspire Your Child To Become An Astronaut With NASA's Fun Tools For Kids Inspire Your Child To Become An Astronaut With NASA's Fun Tools For Kids Read More , his list of alphabet & numbers games 10 Interactive Games to Teach Your Kids Letters and Numbers 10 Interactive Games to Teach Your Kids Letters and Numbers Turn screen time into educational time with these 10 great games to teach your children letters and numbers. They'll have them mastered in no time -- and have fun while learning! Read More , or his list of great online encyclopedias for kids 5 Free Online Encyclopedias Suitable For Kids 5 Free Online Encyclopedias Suitable For Kids Read More . The only way to prevent that boredom is to distract your child with something fun that captures their interest for thirty minutes or an hour. You need something that holds their interest, keeps them quiet, and provides you with a little bit of peace. 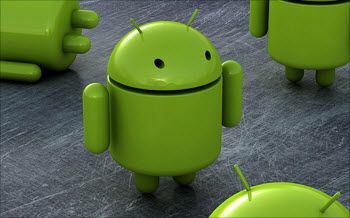 The following 8 Android apps are some of the best ones that I have found. My favorite Android Apps for kids are those that not only keep kids entertained but also help to educate them. The last thing you want is to stick a brain-numbing video game in front of them. Younger children, particularly toddlers, love large images, bright colors and fun sounds. If you have toddlers that are just learning the alphabet, the ABC For Kids app is perfect. The application displays a very large image of a letter. By clicking on the image, it changes from the letter to a picture that starts with that letter. In “test” mode, it displays a picture and the child needs to choose the correct letter that the object starts with. As the child clicks on each of those links, they’ll hear that animal sound. Kids really love this app. You can also turn down the media volume so it’s not quite so loud as they play. Beyond the alphabet and animal sounds, another educational opportunity is colors and shapes. 5 Pumpkins wrote a couple of good apps that you can use to help your toddler with those basic fundamentals. 5 Pumpkins colors is a pretty simple concept but it teaches colors well. The effectiveness of the app comes from the fact that when the child taps the screen, a little child’s voice says the name of the color. If they click on the corner of the screen, it flips over the color and displays an object of that color. A second 5 Pumpkins app that is almost identical is the “shapes” app that displays and says the shape displayed on the screen. Probably one of the most popular ways to help kids pass the time – particularly older kids that are beyond the preschool years – are coloring pages. By loading an app called KidPaint Plus, you have access to an assortment of great coloring pages that kids will love. Just scroll across the color bar at the top to pick a color and then use your finger to paint sections of the image, just like you would use a crayon to color a picture. Another fun game for kids to play while they’re riding in the backseat of your car is the Memory Game for Kids. Just tap each card to turn it over, and when you make a match the pair will stay on the screen. This game is very addictive, even for adults! Another fun game is Image Puzzle. Like memory games, puzzles are very addictive and very fun. This is another game that preschoolers really love. Be ready for them to show you their completed puzzle – and cheer them on at the great job they did! Probably the coolest app that I found to keep kids busy is a sound maker called Trinkle. The concept is very simple, but the results are nothing short of astounding. Picture an electronic xylophone that rings out a note each time you tap your finger. The tone depends upon the area that you tap. At the same time, that part of the screen lights up. This app is really fun, and kids love it more than just about any other. The only catch is that you really need to make sure you’re in a place where the noise won’t bother anyone around you. I wouldn’t recommend having your kid play around with this on a train or plane, but if you find yourself trapped in a car with a whining kid, hand them this app and at least the whining will be replaced with something a little less irritating. Have you ever used your Android to pacify your child for a little while? Do you know of any other cool apps that little kids love to play? Share your own resources in the comments section below. My six year old and I play TileRacer together. I like it because we can both play at the same time on the same phone. I don't feel like I'm letting the phone baby sit, you know? I think music apps are great for kids, since they help develop an appreciation for music early on. Be it an interactive piano or guitar app, doesn't really matter. As long as the music app is easy to use, and has some sort of preset for chords on a guitar for example, kids will enjoy it. Thanks for sharing. I downloaded all of them. My son loves the 'Trinkle' app. My 2-year-old loves Toddler Lock - and it keeps him from making calls! Cool advices, thanks! I definitely want to check a few out! I found kids to love instrument apps, such as a piano (Musical Lite) or a guitar (Solo Lite), or bigger kids enjoyed Traffic Rush or the Labyrinth games.